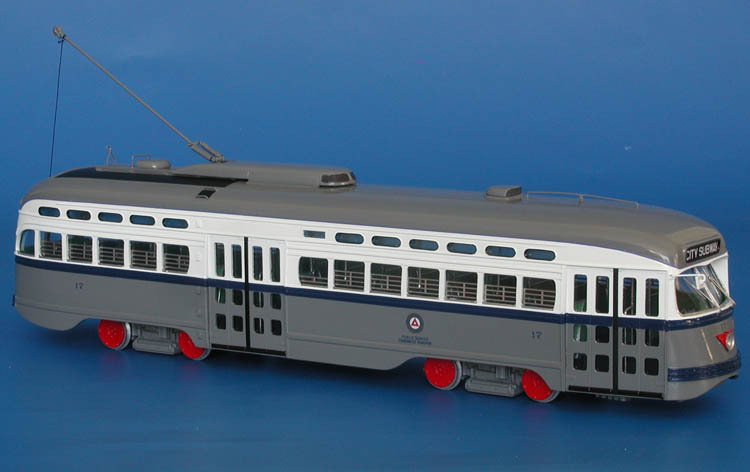 Model 1945/46 mta boston pullman-standard pcc (order w6710, 3172-3196; 3222-3271 series) - post'59 livery ("commonwealth" cars). 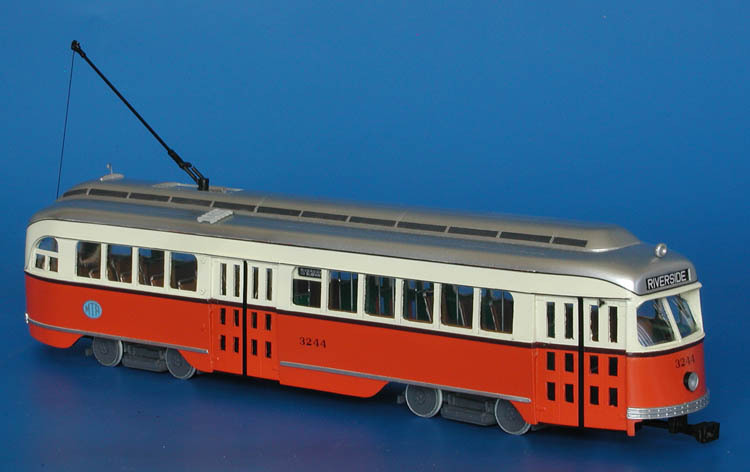 In late 1950s the MTA started to repaint their fleet in the new tangerine color instead of the classic traction orange. 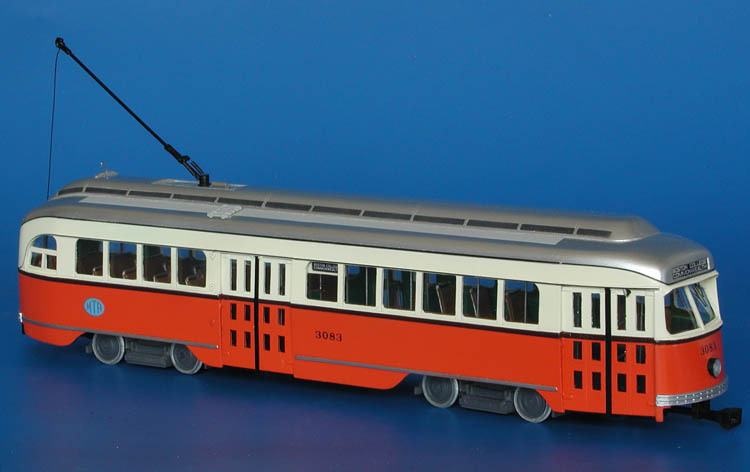 With the change from traction orange to tangerine orange many of the 'Commonwealth' cars had window sashes replaced with rubber grommeted sash and frames. The windshields and sign boxes also got this arrangement. This process continued until the 1960s. Cars 3241-3271 were fitted with roof headlights and air horns and assigned to Riverside service in the fall of 1960. 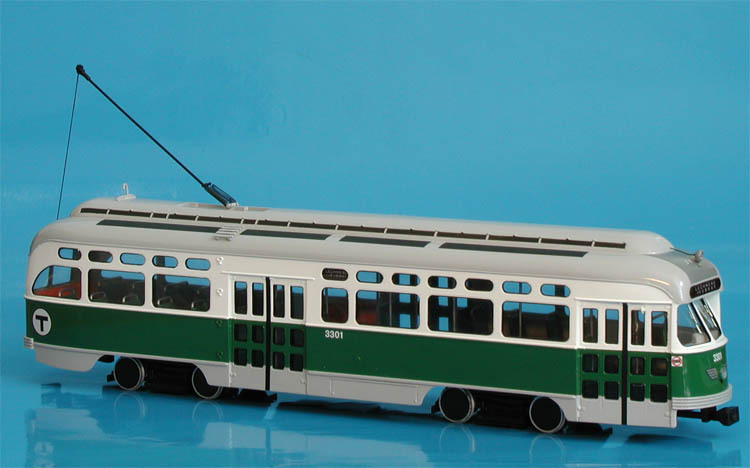 1944 MBTA Boston Pullman-Standard PCC (Order W6697) - MBTA Green Line livery ("Flat tops" cars). 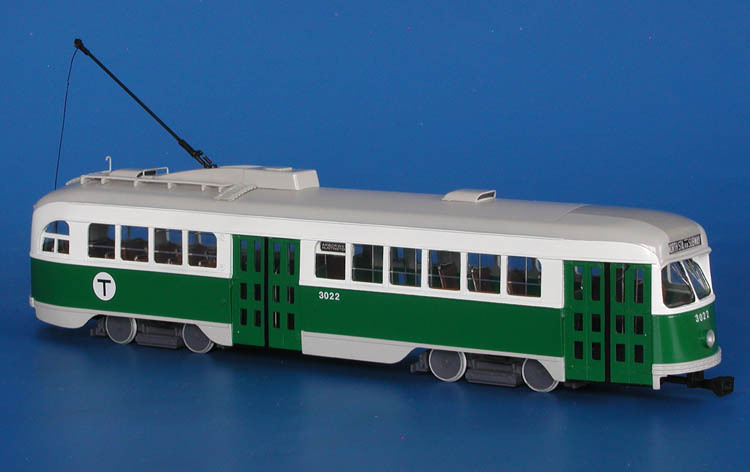 1945 MTA Boston Pullman-Standard PCC (Order W6710, 3072-3096, 3147-3171 series)- post'59 livery ("Commonwealth" cars). 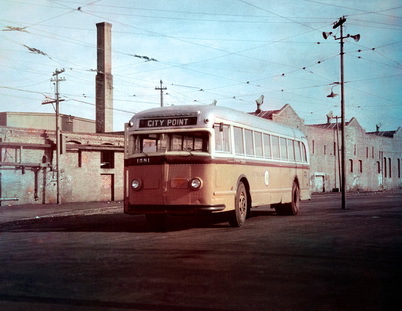 1946/49 Public Service Coordinated Transport St.Louis Car Co. PCC (1-30 series, ex-TCRT, acq. in 1953). 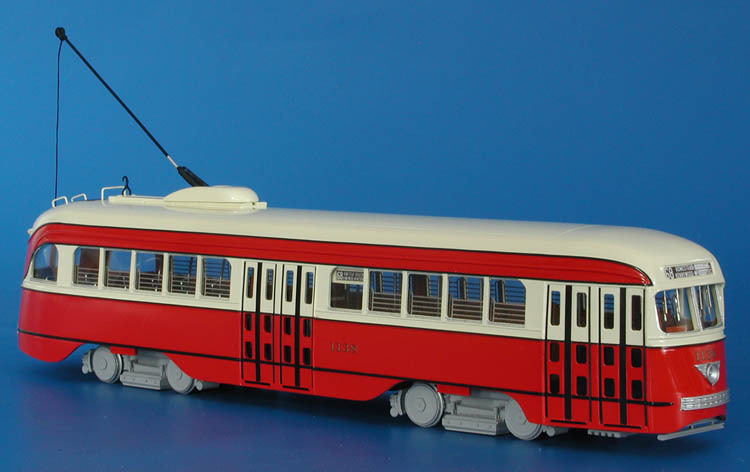 1937/38 Pittsburgh Railways Co. St.Louis Car Co. PCC (Job 1610, 1100-1199 series).